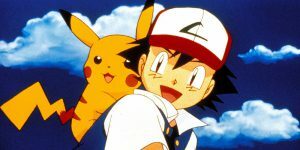 Have you ever wondered what it would be like to have Pikachu or Charizard, walk right along side you as you walked to the supermarket or just hung out at the park? What it would be like, to have your favorite Pokemon as an everyday companion in your day to day life? Well, wonder no more my fellow Pokehunters. Niantic, the power house company behind Pokemon Go, has just confirmed the rumor, that a new “Buddy” system will be implemented sometime this fall. Allowing that dream to become a reality. This new feature will allow you to take your favorite Pokemon with you anywhere and everywhere you wish. And, you aren’t limited to only one Pokemon either. You will be able to switch them out as you please. But, you will only be able to have one with you at any given moment. If you feel that Pikachu best suits your walks in the park and Charizard best fits your morning walk, then you will be entitled to do just so. By allowing your Pokemon to walk with you, you will be able to unlock “Unique in-game rewards and experiences”, from what Niantic says. One feature that has been announced, allows you to gain candy for the Pokemon you have walking along side you. Essentially, it is the same aspect as hatching an egg. The further you walk, the more you obtain for said task. More than likely though, Niantic will put a limit on how much candy each Pokemon can acquire in a 24 hour period. Doing this, will stop your more active and athletic players, from becoming extremely overpowered, in a relatively short span of time. On the visual side of things, you will also be able to see your Pokemon traveling along side your on screen avatar. This will be a very interesting to see. For, it will show the relative size of each Pokemon compared to the average size of a human. Also, depending upon the Pokemon, their movement style will also change their animations as well. Butterfree will fly side by side with you, while Pikachu would just hobble along in his merry little way. Whether or not earth or water type Pokemon, will have their own style of visuals, is still to be seen. In my opinion, it would be really neat to see Geodude burst out of the ground and dive back in as if he was a dolphin at play. Now, how they will address the water type Pokemon visuals, is going to be interesting, to say the least. What do you think about this new feature? Anything you would like to see implemented? Any interesting takes on what the animations of different base types should be? Let us know in the comments below. We would love to hear your personal take on it. And, as always… GO TEAM MYSTIC!! Beginners Corner: Have you noticed those pink leaves surrounding some Pokestops and wondered what it meant? Well, it means that someone has used a “Lure Module” on that specific Pokestop. This causes more Pokemon to flock to that certain area, increasing your chances at acquiring that rare Pokemon you been keeping your eye out for. Next Next post: The “correct” way?